We find, acquire, restore and sell unique and aspirational collector vehicles. We primarily look for cars we have aspired to own ourselves. We produce a few examples per month and are always looking for new projects. Call or email us. If you have a project to discuss, this is the easiest way to decide if we can help. 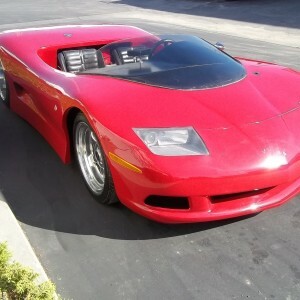 We look for interesting cars and pour a lot of money, blood, sweat, love and tears into each project we accept or acquire. More importantly, we breathe life back into the cars we've loved, longed for, lost and have found again. We know there are fewer and fewer classics available every day and strive to make exceptional cars available to discerning buyers. Do you have or know of a basket case or unfinished project car or package of cars? A hoard of cars even? We'd sure like to talk to you about preserving as many as possible. We have the facilities, equipment and dedicated craftsmen to see the job through. Check our Rescues page for examples of our current projects. Do you know of a car, motorcycle or other vehicle sitting in a neighbor's garage. We gladly pay finders fees or donate them in your name. Interested in a trade? Feel free to browse our inventory and send us a picture or two of what you have through our Contact page. Looking for someone to complete your dream car on time and on budget? Call or email us. See something you like in our Driven Inventory but want to change the direction to suit your tastes? You got it, use our Contact page. Sign up for inventory updates on on any page. Choose your poison. Facebook, Google Plus, YouTube, this site or suggest something. We're still learning. We donate a portion of every sale to Workshops for Warriors through Ebay's Giving Works program. Please join us in supporting our troops.